10. A weighted vest, and other such functional products. Neural systems are on overload, so any/all sensory reducing strategies need to be dusted off and utilized. My son, a Special Ed teacher, reports that one of his favorites is Chewelry. 9. A special request for an IEP meeting to review everything agreed upon in the last IEP, and how the child has progressed. 8. A written, visible schedule. The previous school year’s busy agenda needs a re-boot. With non-preferred activities about to consume more time, acceptance and self-control become paramount, so clear expectations are a good start. 7. Sleep. Likewise, the body’s internal rhythms have gone on a summer vacation. Warm epsom salt baths are great to pave the way at bedtime. Chamomile is fine, and more difficult problems may be ameliorated with the administration of melatonin. 6. Supplements and medications. Children with ADHD are often given drug ‘vacations’ during the break. Appropriate dosing and timing may have changed as the summer progressed, so try getting things started a week or so early. 5. Healthy food. Unfortunately, schools do not often assist in this endeavor. If junior has been slipping off the diet, or eating too much junk, get back to basics. 4. An app to disable the iPhone. Really. The time spent on iPads, computers and video games needs to become severely limited. 3. Playtime. It is very difficult to transition from a season of freedom to one of academic drudgery and endless therapy sessions. Going to the park, ballgames, and other outdoor athletic activities is a basic part of being any kid. Even though physical activity is not as preferable as that smartphone, try to make it happen. 2. Soap. Stress cleanliness and get the child into the habit of washing their hands. To the extent that the school will cooperate, tissue dispensers, hand sanitizers and bathroom etiquette could provide some barrier to the onslaught of cooties. 1. A big dose of time and patience. As students fit into the new school year, so do teachers, administrators and other professionals need time to understand each child’s strengths and weaknesses. Everyone remembers that first day back at school; anxiety, fear, excitation, and dread. The assault on the senses, social stresses and academic expectations are an even more tremendous hurdle for students with challenges in those very areas. Most of all, parents’ love and understanding gets us all through those first inglorious days and weeks. This entry was posted on Friday, August 15th, 2014 at 8:31 pm	and is filed under >ALL<, AD/HD, Alternative and Complementary Medicine for ASD, Autism Therapies, Diets, Gastrointestinal Issue, Holidays & Vacations, Patient experiences, Sensory issues, Sleep, Speech and Language. You can follow any responses to this entry through the RSS 2.0 feed. You can leave a response, or trackback from your own site. Just read the article on synapses & I was hoping to get your opinion on it whenever you get a chance doctor. A good friend who is both a radiologist and pathologist had the best response. He’s a really smart guy. ADHD – What else could it be? Alternative Medicines Safe for Kids? Autism Treatments – Natural or Artificial ? Diatomaceous Earth as Autism Treatment? Do All ‘DAN’ Doctors Practice the Same? How Many Doctors Does It Take to Screw in a Light Bulb? How Much Does Your Pediatrician Know About Autism? Is Big Pharma Knocking Off Functional Medicine Doctors? Is It Time To Take Your Child to a Functional Medicine Pediatrician? Is there an Autism ‘Smart Gene’? 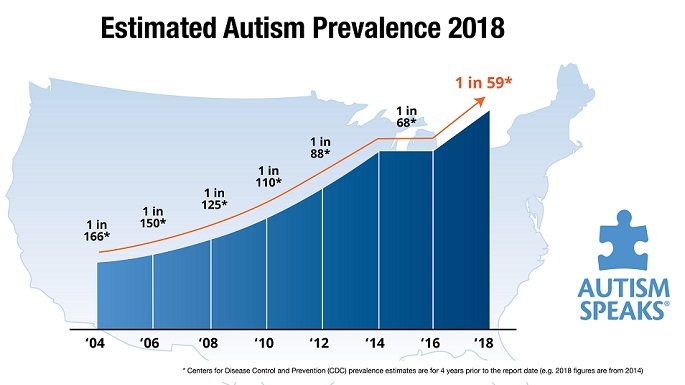 Should You Be Worried About Autism in Your Child? Sleeping Sickness Medicine for Autism? So, You Cure Autism with Diet and Vitamins, huh? The Effects of Soy on Patients with Autism? To NEBA or Not to NEBA? That is the ADHD Question. Vitamins for Autism and Hyperactivity ? What is Stimming in Autism? Where Have All Those Autism Treatments Gone? Why Don’t All Doctors Treat Autism This Way? Will My Child Always Have Autism? Worried About Autism – Where to Begin? Your child’s autism – Was it just a coincidence?